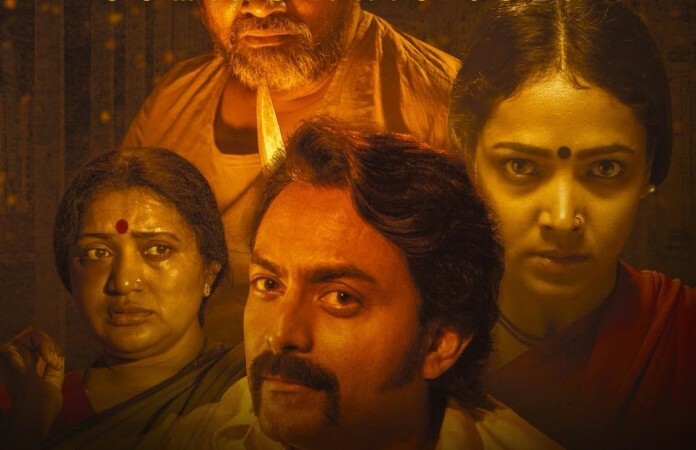 Dayal Padmanabhan's Aa Karala Ratri has some fine performances from the artists and technical departments have enhanced the overall quality of JK and Anupama Gowda starrer movie. Greed is destructive and it destroys everything. This is the underlining message of Dayal Padmanabhan's Aa Karaala Ratri, which stars JK aka Jayaram Karthik and Anupama Gowda. The film tells how money can make a good man an evil and lure him to do a crime. In a small village, there lives a drunkard played by Rangayana Raghu with his wife Gowramma (Veena Sundar) and Malli aka Mallika (Anupama). The family fails to find a proper alliance to Malli due to their poor financial conditions. One day, an unexpected guest -- Chennakeshava (JK) -- comes to their house seeking shelter for a day. Initially, the family hesitates to give him accommodation, but upon request, they give the nod for his stay. But what happens next should be seen on-screen. Dayal is not definitely preachy here and tries to tell that a man can turn wild and throw all the morality to the wind for money and material possessions. He takes time to brief about the main characters and showcases their good and bad sides. For an instance, the happiness in Gowramma and Mallika's eyes when they successfully deliver a baby of a woman shows that they enjoy the smaller things in life. Their other side comes to play when they decided to commit a crime as it puts an end to their miseries. JK, as the guest, has come out with a superb performance and his retro looks are treat to watch. Anupama Gowda leaves the audience in awe with her acting. She plays a bold girl and impresses the viewers with the way he puts out the frustration of an unmarried woman. Rangayana Raghu and Veena Sundar's performance in the climax showcases the talent they possess. It is not just the fine performance of the actors, but the contribution of other departments has enhanced the quality of the movie. Ganesh Narayan's music gets thumbs up and the effective use of poems from Mankuthimmana Kagga have added value to the storyline. PKH Das' cinematography is top class and Sri CrazyMindzz' editing is flawless. Special mention for Naveen Krishna for his sharp one-liners. Dayal and Naveen Krishna's screenplay keeps the audience engaged and watch out for the climax twist. Overall, it is a well-made intriguing suspense thriller. And the movie has a rare distinction of belonging to both art and commercial film categories. Indeed, Aa Karaala Ratri remains as a feather in Dayal's cap.